Old Time Trolley: Wish We Were There! 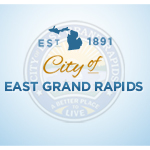 Take a trolley ride with Mary Dersch, curator of the EGR History Room and jump back in time to see some of East Grand Rapids' landmarks, houses and other places of interest. Registration required. Limited seating. Sponsored by the Friends of the EGR Library. This is a free program for adults only - meet in the EGR Middle School parking lot.